Pretoria based engineering firm, Thuthukani Engineering was contracted by Exxaro to supply a gland water service system for their largest mine, Grootegeluk mine in Limpopo. Grootegeluk has the world’s largest beneficiation complex where 8000 tonnes per hour of run-of-mine coal is upgraded in 10 different plants. 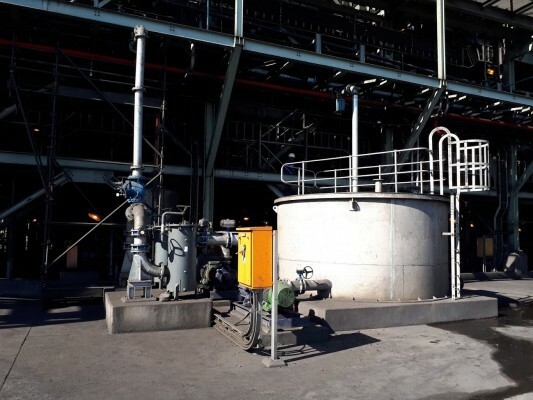 To ensure long term longevity and availability of the GG7 and GG8 mega-plant at Grootegeluk, Thuthukani Engineering deployed a turnkey, fully automated and centralised gland service water system. The GG7 and GG8 plant at Grootegeluk plays crucial role in the provision of coal, supplying directly to the Medupi Power Station. The plant is comprised of 10 modules running 44 slurry pumps in total. “There were challenges with low availability and reliability of the pumps due to lack of a suitable gland service water system. 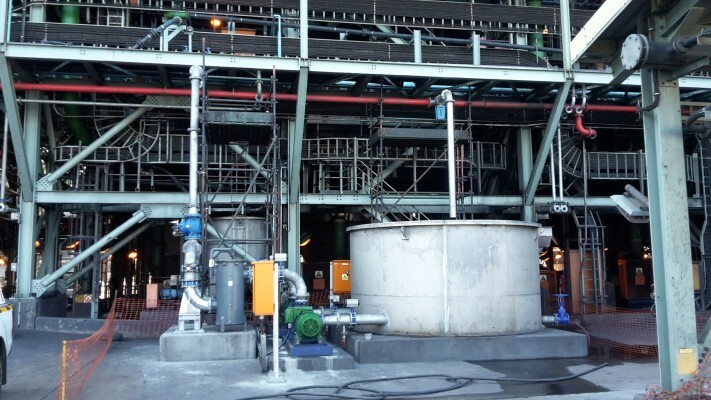 Low availability of the plant impacts on increased maintenance costs, lost production tonnages and you have issues with higher risk of slurry pump failure,” says Tshifhiwa Ndouvhada, Technical Director at Thuthukani Engineering. A slurry pump has its own delivery pressure and the pressure and the flow rate need to be constantly maintained as gland seal water prevents the water inside the pump from leaking out of the pump to maintain balance on the seal. The challenge is that in this type of system there is a pump, tank, filters, and regulator valves. In this instance the system is supplying 44 pumps that each has a different flow rate requirement. This is why there was a need for a fully integrated system that employs numerous different control and measurement instruments speaking to the automation PLC. According to Ndouvhada, automation of the system played a very important role in ensuring that the system was feasible and also in ensuring success on a project of this magnitude. 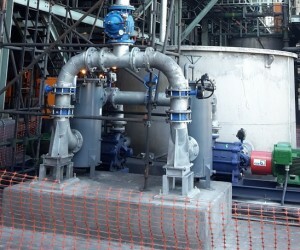 Typically gland water service systems are installed for up six slurry pumps, whereas in this case, Thuthukani Engineering was challenged with a module encompassing 44 pumps in total. “It is a very complex system due to the fact that water is being supplied to different kinds of pumps that require different gland supply pressure and flow rate and need to be monitored on a continuous basis,” Ndouvhada explains. 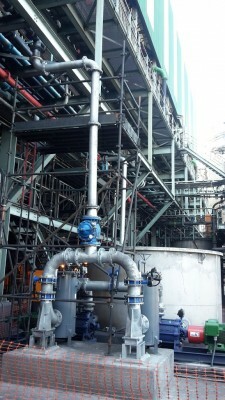 “The system we designed is connected to the PLC and the SCADA system and allows for the system to be monitored from the plant central control room where there is live monitoring of pressure flow to each and every pump in the system in the plant.” He says that additional benefits for Exxaro include the fact that they will be able to determine and predict failures before they lose a pump and that they are now able to carry out scheduled maintenance on the gland water service system and the pumps which will result in less down time overall. Thuthukani Engineering will be providing support to Exxaro on the new system for the next year. Although, says Ndouvhada, they believe the system to be both reliable and easy to maintain. Looking further ahead, Thuthukani Engineering took steps to ensure that the system will never lack support. “We selected equipment and components from high quality suppliers. All of the OEM’s that we chose to work with on this project have a background in the mining industry and a large local presence in South Africa – therefore technical support and stock availability will always be sufficient,” says Ndouvhada.